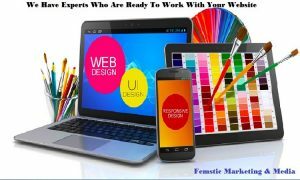 Our Website Design Service is a mobile web design product that allow us build websites easily that visitors can view on any device. Whether your customers are at their desk, browsing from a laptop on the train, or scrolling on their phone, your website will be easy to view and navigate. We know that a professional websites built with search engines in mind will attract more customers. A business website is an invaluable tool that enhances your online marketing campaign, attracts new customers with greater customer loyalty, increases product awareness, and adds business value, and this type of website need to build with high quality. When people are ready to buy, they search online. If your business doesn’t have an online presence, they will move to your competitors website and order from them, this means that you are missing out on potential sales and revenue. 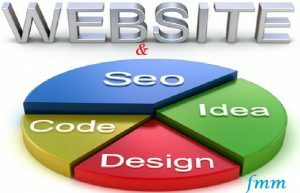 The first step to creating an effective online presence is a well-designed, easy-to-use website. A website that can respond to any screen no matter how small the device you use to view it. However, since it does your business no good to have a website that no one can find online, we build your website with search engines in mind and make you unique among your competitors. We give you the best you want even if you don’t know what you want, we provide you with different samples to chose from and design it to fit your business. We know the rules of search engine that is the why we follow Google guidelines for onsite structure to ensure that Google, Bing, Yahoo, and other search engines can quickly index, and rank your site. This means you get better exposure in their search results pages, and thus more inbound traffic from visitors searching for what you offer. A website that doesn’t follow search engine guideline will not be visible to visitors. Content is a king that is why we provide high quality content that is unique to your business and tailored to each page of your website. You need to give your visitors what they want before they can take any action and they are looking for information that will help them. We help you give them the rich content they want, and answer many questions they have in mind by providing free valuable content on your site, to engage your visitors. If you build the level of trust they will chose nobody except you whenever they are ready to buy.